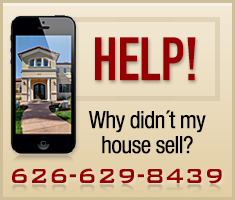 Pasadena California - Looking for Homes in Historical Neighborhoods and Landmark Districts? Many people are flocking to Pasadena California because of its beautiful character homes and historic neighborhoods. Pasadena is a very walkable city and offers museums, top restaurants and bars, hiking trails. It is close to the mountains and less than an hour away from the beaches and skiing. If you are trying to decide which area to buy your Pasadena home in, this article will helpfully point you in the right direction. When home buyers think of buying in Pasadena, many divide the city into five quadrants: South of the 210 freeway - divided into South East and South West Pasadena and North of the 210 freeway with the dividing line in most buyers' minds serves as being West or East of Lake Avenue. The fifth quadrant is the San Rafael and the Pasadena Rose Bowl area. Branbury Oaks is bordered by Washington Boulevard to the north, Mountain Street to the south, Fair Oaks Avenue to the East, and Forest Avenue to the west. The neighborhood is bisected by Interstate 210. The main roads through the neighborhood are Hammond Street and Lincoln Avenue. Garfield Heights is the original tract name registered with the city of Pasadena in 1904. In 1998, the area experienced a revitalization after it was designated the city's second landmark district. The Garfield Heights Landmark District boasts one of the city's oldest intact neighborhoods with beautiful historic homes built mainly during the late 1800s to early 1900s. Garfield Heights is bordered by Washington Boulevard to the north, Mountain Street to the south, N. Marengo Ave. to the west, and Los Robles Avenue to the east. It has been featured in many publications including LA Magazines "10 Best Neighborhoods" and the Los Angeles Times. 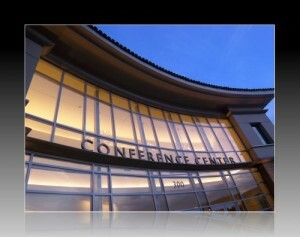 It is located less than 1 mile from Pasadena's shopping district in Old Pasadena and the famous Pasadena Rose Bowl. The neighborhood also lies below the majestic San Gabriel mountain range and is minutes away from hiking trails. The neighborhood is served by Metro Rapid line 762, as well as Metro Local lines 260, 268 and 687; and Pasadena ARTS routes 20, 31, and 32. Normandie Heights is a neighborhood in Pasadena, California. It is bordered by Woodbury Road to the north, Washington Boulevard to the south, Los Robles Avenue to the west, and Lake Avenue to the east. Orange Heights neighborhood is bounded to the West by Los Robles Avenue, to the East by El Molino Avenue, to the North by Jackson Street, and to the South by Mountain Boulevard. Orange Heights is served by Metro Local routes 268 and 687, as well as Pasadena ARTS routes 31 and 32. Prospect Park is a residential neighborhood in Pasadena, California. It is bordered by Westgate Street to the north, Orange Grove Boulevard to the south, Rosemont Avenue to the west, and Lincoln Avenue to the east. Washington Square is a neighborhood in Pasadena, California. It is bordered by Washington Boulevard to the north, Mountain Street to the south, El Molino Avenue to the west, and Lake Avenue to the west. It is notable for having been renamed several times, having been known as part of Orange Heights until the 1950s, then Clement Heights until the 1980s when it was shortened to CLEM, then Heather Heights until the late 1990s when it was given its current name. The neighborhood was built up gradually until the 1940s, when the last housing tract was built around Heather Square. Washington Square is notable for having one of Pasadena's oldest parks, Washington Park, which was reclaimed from a municipal dump in 1922. Woodbury Creek also runs through the neighborhood, though most of the creek now runs underground. The neighborhood is also home to two of Pasadena's oldest standing houses, which date from the early 1890s, and the one-time home of author Upton Sinclair . It is believed that the house belonged to him during his run for Governor of California. Washington Square is served by Metro Local lines 180, 268, and 485; as well as Pasadena ARTS route 20. The two major streets are Lake Avenue and Washington Blvd. Bungalow Heaven is a landmark district in Pasadena, California. It is bordered by Washington Boulevard to the north, Orange Grove Boulevard to the south, Hill Avenue to the east, and Lake Avenue to the west. All of the commercial development in the neighborhood is on Lake Avenue and (to a small extent) Washington Boulevard. At the center of the neighborhood is McDonald Park. Bungalow Heaven is so called because of the hundreds of small craftsman homes built there in the 1920s, most of which still stand. 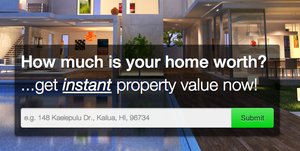 Historic Highlands is one of the most beautiful neighborhoods known for it's tall trees and grand craftsman homes. There are over 700 renovated and restored craftsman and bungalow homes in this landmark district. It sits just north of Bungalow Heaven and has an annual architectural tour. Madison Heights is a neighborhood in Pasadena, California. It is bordered by Del Mar Boulevard to the north, Alpine Street to the south, Los Robles Avenue to the west, and Hudson Avenue to the east. The Old Pasadena Historic District or as it is locally known, Old Town Pasadena, has been a shining example of the revitalization of a run-down city center. 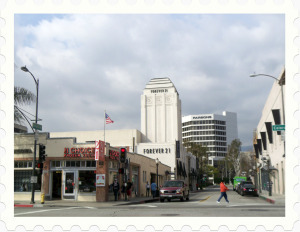 It is one of three major shopping areas in Pasadena. The other two shopping centers in Pasadena can be found on South Lake Avenue and Foothill in North East Pasadena. Photos from the 1800s show Fair Oaks and Colorado Street as the primary crossroads for the new city. But by two decades ago it was home to a great antiques store (Jay's), a bar or two that opened at 6 a.m. and many seemingly vacant storefronts. After 5 p.m. not a person was in sight. They might as well have rolled up the sidewalks. Today Old Town is a dynamic shopping center at the heart of Pasadena. Jay's Antiques, alas, has moved away to be replaced with mall-favorites such as J. Crew and Crate & Barrel, along with other chain stores along Colorado. After dark the sidewalk traffic really picks up as people head for the dozens restaurants and clubs. What locals know and visitors often do not is that the side streets off Colorado are where to find the more interesting shops and great dining. These smaller businesses are stocked with unusual items, and, in the case of restaurants, the owners have developed their own unique menus. You will find more unique stores along Green St. which runs parallel to, and one block south of, Colorado. One notable exception to the "go to the side streets" guideline is 21 Choices, a yogurt shop on Colorado that is like taking a time-trip to the 1970s. Put on your old Birkenstocks and stop by for a yummy dish of tart or sweet stuff. Old Town is also on eof the few places in Pasadena where pedestrians can criss cross the road and cars come to an all streets stop. As Old Town became revitalized, developers and builders saw an opportunity and began building apartments and condos within two or three blocks of Colorado Blvd. But condos and cottages are topics for another page on this website. 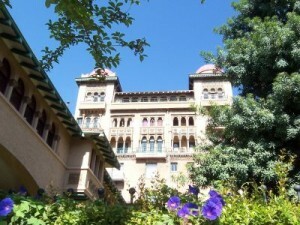 One of the more famous buildings in Old Town Pasadena is Castle Green. If you walk down Raymond from Colorado Blvd. you will see an enormous, ornate building -- the Castle Green. Once upon a time it was the smaller west wing annex (Yes, smaller!) of the Hotel Green, a luxury resort. The larger east wing is now gone but half the walkway between the two buildings remains. Castle Green was designed by Frederick Roehrig and opened in 1899. It now contains about 50 apartments. In November and April there are tours of the building. The Playhouse District is a neighborhood in Pasadena, California. It is Pasadena's premier entertainment and financial district; the headquarters of IndyMac Bank and Community Bank are located there, and Countrywide Financial keeps an office there. 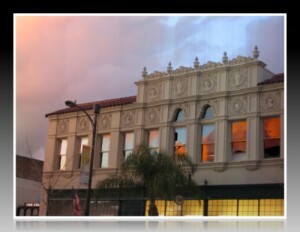 The Playhouse District is bordered by Walnut Street to the north, Del Mar Boulevard to the south, Los Robles Avenue to the west, and Hudson Avenue to the east, with a panhandle-like extension to Wilson Avenue. The district is also notable for its manhattanization, the legacy of extensive urbanization from the 1960s to the 1980s. At the Playhouse District's center is the world-famous Pasadena Playhouse, as well as Vroman's Bookstore, Pasadena's oldest operating bookstore. Several shopping plazas surround the area. Pasadena Presbyterian Church, former home of KPPC-FM is also in this district. At the neighborhood's east end is the Ice House comedy club. Fuller Theological Seminary is located at the western end. Good things come in pairs in the Playhouse District. There are two live theaters (The Pasadena Playhouse and Boston Court) as well as two movie theaters (The Academy and Laemmle's Playhouse which show art and independent films) and two bookstores (Vroman's and Cliffs). Live theater has been presented at the Pasadena Playhouse on El Molino just off Colorado since 1917. An acting academy is also part of the Playhouse and among its alumni are Dustin Hoffman, Mare Winningham, and Gene Hackman. The Metro Gold Line operates a station on Lake Avenue, just north of the neighborhood. The Playhouse District is served by Metro Rapid line 780; as well as Metro Local lines 177, 180, 181, 485, 686, and 687. It is also served by Pasadena ARTS routes 10 and 20, and Foothill Transit route 187. The shops on the east side of South Lake Avenue are notable for being accessible from the street and from Shoppers' lane, a half-mile long alleyway that runs alongside Lake Avenue. Also located on Lake Avenue is a large Macy's department store built in early 1960s modern architecture and that has just been remodelled in 2009. At the center of the neighborhood is Caltech, Grant Park, and Tournament Park. Located South of the 134 Freeway and on the western end of Pasadena. This neighborhood is a part of San Rafael and is situated right next to the Arroyo Seco. Hahamongna Watershed Park (the upper Arroyo), the Central Arroyo and the Lower Arroyo. The Lower Arroyo Seco is a unique environmental, recreational, and cultural resource of the City of Pasadena. Surrounded by residential neighborhoods, the Lower Arroyo stretches approximately 1.75-miles from the Colorado Street Bridge to the South Pasadena city limit at San Pascual Stables. As early as 1887, the citizens of Pasadena recognized that the land surrounding the Arroyo Seco should become a park for the enjoyment and benefit of the public. Between 1911 and 1927, the City of Pasadena accumulated the land for what is now the Central and Lower Arroyo. In 1918 the Arroyo Park Committee, headed by architect Myron Hunt, suggested that a comprehensive plan be developed by noted landscape architect Emile Mische. The plan recommended that the Lower Arroyo be reserved for trails and bridle paths and planted only with native plants. In 1977, the City declared the Lower Arroyo to be a City Cultural Landmark. The Lower Arroyo Seco is a natural preservation area whose use is defined and regulated by the City's Arroyo Seco Public Lands Ordinance. Uses in the Lower Arroyo include low intensity recreational activities within defined areas, including hiking, horseback riding, archery, fly-casting, picnicking and jogging. Equestrians can enter the Lower Arroyo from the south entrance at the private San Pascual Stables or from the Hahamongna Watershed Park area to the north. Public horse rentals are not currently available in the Lower Arroyo Seco. Equestrians currently use Lower Arroyo Trails on both sides of the flood control channel. Established in 1935, the Pasadena Roving Archers Club is a long-time City special authorized use in the Lower Arroyo. The Club's archery range consists of twenty-eight hay bale targets plus 6 practice target areas, and is used for both organized events and informal practice. Free archery lessons are offered to the public on Saturdays between 8:30 am and 11:00 am. Call (626)447-7600 for membership and group class information. The Lower Arroyo Seco supports primarily native and naturalized plant species which form three main plant communities. These communities serve as habitat for a variety of bird, reptile, insect, and small mammal species. Many of these animals are frequently observed by visitors to the Lower Arroyo. The main trail through the Lower Arroyo Seco runs along the east and west sides of the storm channel. Known as the Arroyo Seco/Gabrielino Trail, it continues along the Arroyo to the north and south. The neighborhood trail running along Arroyo Boulevard on the east side of the Arroyo provides multiple access points for reaching the Arroyo Seco/Gabrielino Trail. Additional smaller trails pass through the widest parts of the Arroyo, allowing users to experience the variety of habitat present in the Arroyo. In addition to these trails, a Class III bike route loosely follows the rim of the Lower Arroyo and connects with bike routes to the north and south. Bikes are not allowed within the Lower Arroyo Natural Preserve area. The Lower Arroyo Seco contains a number of natural and built features that add interest to a journey along its trails. At the northern end of the Lower Arroyo Seco, the Colorado Street bridge passes far above the storm channel. Built in 1913, the bridge's distinctive Beaux Arts arches connect Pasadena to Eagle Rock. South of the Colorado Street bridge are several low-flow streams. These streams were constructed in 1997 as part of a restoration effort in the Lower Arroyo, and mimic what the area resembled prior to construction of the flood control channel. Willows and other riparian vegetation flourishing along the streams provide habitat for several native species. La Casita del Arroyo perches above the Arroyo Seco/Gabrielino Trail, and is known for its gardens and distinctive architecture. La Casita is used for a variety of public and private functions, and can be reserved by calling (626)744-7195. In the center of the Lower Arroyo is the Memorial Grove. Planted with a variety of native tree species, the Memorial Grove commemorates community members who have passed on. Toward the southern end of the Lower Arroyo, the Camel's Hump rises from the Arroyo Floor. Once a spur ridge deflecting the Arroyo Seco's natural flow pattern, the "hump" was split in two during the construction of the Arroyo Seco storm channel. The Lower Arroyo Seco is open from dawn to dusk. New construction in Pasadena - condos built in 2008 or later! For additional information about Pasadena, California, please contact Irina at irina(at)PasadenaViews(dot)com. Just a quick correction: the archery range has 28 targets, plus a 6-target practice area.